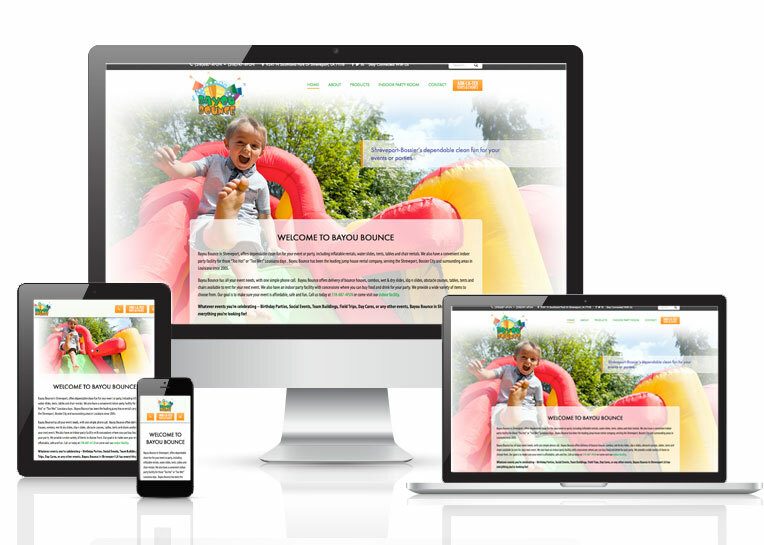 Online Presence Builders was able to create and develop a new website for Bayou Bounce. Encompassing their design inspirations, Online Presence Builders formatted a website design that is easily navigable, organized, and functional in terms of customer use. Implementing a strong content strategy makes way for Bayou Bounce to have strong results in search engines and help users of the site navigate through the website easily.